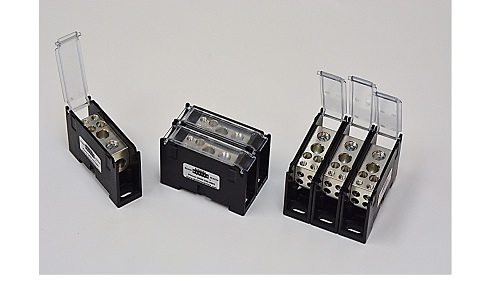 BlockMaster Electronics has a new line of rugged, high power modular terminal blocks in 1-, 2-, 3-or 4-pole configurations. These interlocking style blocks simply snap together to create a block with 1 to 4 poles. They are suitable for DIN rail or panel mounting. Both the modular feature and the block’s mounting capabilities are totally unique in the market, unavailable anywhere else.